If you’re a north sider, not only would you probably have no idea that Corinda, Tennyson and Lytton are all suburbs of Brisbane, but you’d no doubt have driven past Stafford City a few times. But if you haven’t ventured in, you wouldn’t know that there’s an entire food precinct inside dedicated to all things fresh, tasty and very easy to turn into a feast for a small army of people without breaking the bank. Specialty retailers for all your entertaining grocery needs this silly season include Kurty’s Quality Meats, whose Christmas hams, Bangalow sweet pork and organic meats have people coming all the way from the south side and Fruit Fantasy & Deli, who have a deli packed with goodies perfect for any occasion (even if it’s just a wine and cheese party). You’ll also find Tang Bakery, who’ve won awards for their delicious pies, and Healthshop, who stock everything from CoYo to gluten-free pasta. To make things even easier for you this festive season, we’ve put together a few recipes that will feed every friend, family member and then some, with just one quick stop at Stafford City. 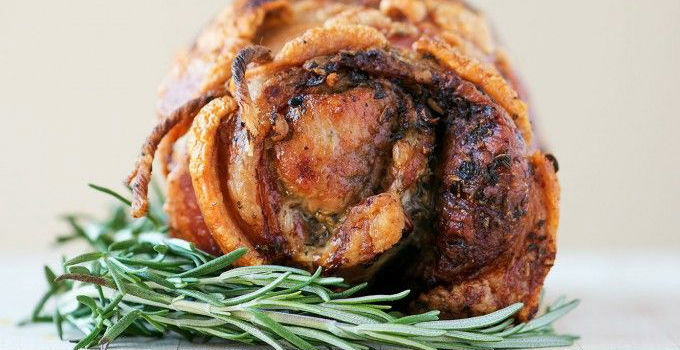 Sunday roast: Porchetta A fancy Italian rolled pork roast, it’s like the best parts of pork roast and chicken roast all rolled into one, and just the thing for Sunday roast with the family. 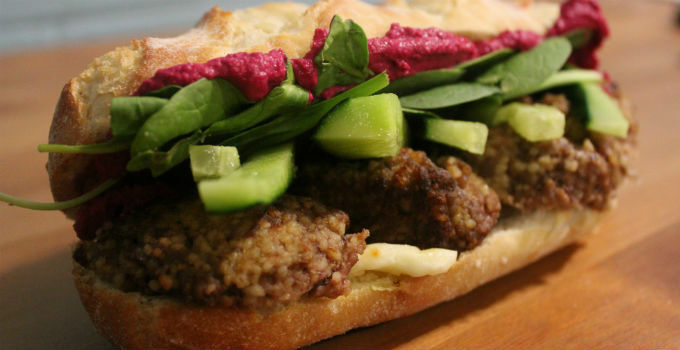 Lamb kofta baguettes with beetroot hommus and haloumi Spicy lamb, tangy beetroot hommus and cheesy haloumi, all on one fresh, crusty baguette! Perfect for when you want to impress some friends without too much effort. 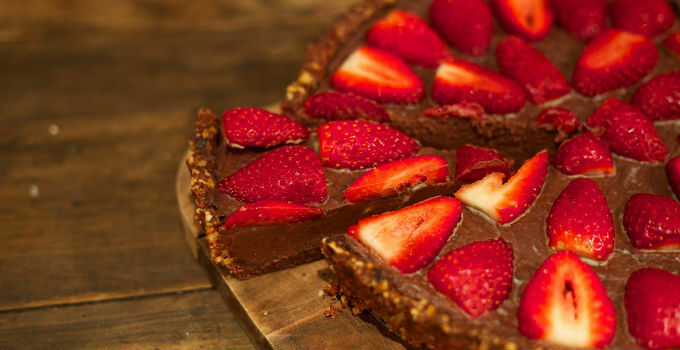 Paleo chocolate tart Sneaking in a bit of green stuff and so scrumptious no one would ever suspect it’s healthy, this dessert is perfect for your next dinner party, and will keep even the fussiest health nut happy. Happy cooking! Keeping the G&G up to date with all the latest tasty tidbits requires a lot of double lattes and espresso martinis, so we occasionally need to give out some sponsored love. But rest assured that we only work with businesses that we think are really nifty, as the sponsor for this post is!